Thank you for the time. I would appreciate some help reviewing my profile. 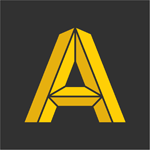 - These teams include data scientists, technical architects, and solutions execs. - I really enjoy solutions-oriented pursuits in my current role so I want to focus more on that through management consulting. The reason I want to get an MBA is so i can learn more about strategic advisory aspect of business operations. In the long term, I want to combine my enterprise sales skills and my newly acquired consulting skills to run my own management consulting practice, focused on data analytics. Pretty much all M7 except Stanford. Originally posted by hzed134 on 13 Mar 2019, 07:35. Last edited by hzed134 on 13 Mar 2019, 10:03, edited 1 time in total. Congratulation on your great GMAT score. Please focus on profile building, it will help to get admission in your dream school. All the for the application process. Academics: GMAT score is exceptionally strong and Q49 puts you in good company as well. GPA of 3.54 is slighly lower than the median at the M7 but still good overall. What was your major, and any EC or additional achievements during undergrad? Work Experience: Really solid here too - how long have you been working and how many promotions have you gotten (and how quickly were you promoted compared to your peers?). The fact you have direct management experience leading teams will bode well for both behavioral interviews and essay writing. EC: Good initiative in the community, how long have you been active with both endeavors? Overall: You've got great numbers and a coherent and logical answer for the most important question you'll face: Why an MBA? While it's always difficult to predict admissions chances at individual schools, I think with a very strong application (including recommendations) you should be competitive in the M7 and be able to convert a few schools in the t12-t15. Feel free to reach out at scott@personalmbacoach.com if you'd like to discuss your candidacy more in depth, would be happy to help! Congratulations on a well-rounded profile. Frankly speaking, you have a very competitive profile and stand a good chance at cracking the M7. However, a lot will depend on how you join the dots through the essays. In this regard, the following videos will be of help. Should you have any follow up questions, please do get in touch with us. The academic arc, including the GMAT looks sorted. Top canadian univ and the GPA should be in about the right ballpark. The fact that you are on the sales side of things is good. It will be useful to understand your current designation as well as career progression you have had. The solutioning aspect of your profile can play nicely into a consulting profile. Think harder on the post-MBA plans though. Given your Analytics experience, it may pay well to not necessarily go on the beaten track of consulting only. While the work does sound good, there is a risk of this not being distinctive enough. You'd have to do a lot on this aspect to make sure you stand out! The ECs sound just about ok - will be important to understand the impact you have had there though. Seems a bit too recent too - will be good to see if there was something in the past as well on this front. Happy to help! We like to break different aspects of the application into the following buckets to make everything clearer. 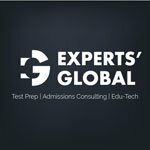 GMAT – Congrats on achieving a score of 750, which is above average score for most of the tier1 B Schools across the planet. Work Experience – You have got well-balanced work experience. It is important to not just reiterate the job profile that you have. Fact likes, pitching directly to managerial profiles, two promotion in short term work experience can do exceptionally well in crafting your application. 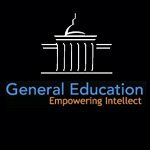 Education – You have got an average GPA. It would be helpful to mention your standing in your batch if your GPA is not on a scale of 4.0, an optional essay can be a good place to address this and tell some reasons that affected your performance. Extra Curricular – You seem to have decent extracurricular activities. Make sure you bring them out effectively in your essays. This section tells the ADCOM about your overall personality and helps them relate to a person instead of a resume. Make sure that you bring out your hobbies, voluntary work and achievements outside work in this area. Altogether, your profile looks decent to fit in all M7. Just try to work on your extra curriculum bit, which would definitely boost your profile to have a competitive edge over aspirants. Click here to get your profile evaluated for free with our MBA experts! Congrats on the GMAT. Overall you have a competitive profile. Your GMAT is strong and your GPA is close enough so that you are academically competitive. I'm guessing that your major was in something quantitative/technical. Your work experience sounds good. I'd like to know more about achievements, and two promotions indicates you should have them. Make sure you highlight leadership, both of your team and your clients. I'd like some more info about your role in your two ECs and what you've accomplished there, but your commitment is a good starting point. 1. Visit the programs you are interested in to the extent practical. 3. Further clarify your goals -- Although your goals and reasons for pursuing them are pretty clear,, is there an industry you intend to focus on in consulting? 4. Start jotting down ideas for essays: what are you proud of? What will show fit with the schools you are visiting? 5. Think about whom you want to ask for recommendations. You may be interested in Choosing an MBA Admissions Consultant,a free download. When narrowing considering consultants, please consider Accepted and feel free to contact me. You have a strong profile & definitely have a shot at M7 assuming some strong essays & LORs. Your GMAT looks great, GPA is solid, and based on what you shared here it seems like you will likely have some strong accomplishments to highlight from your work experience as well. That said, getting into a top school requires more than just strong stats and strong work experience. In order to set yourself apart from the crowd of equally qualified applicants you need to tell a story that shows your unique value proposition -- what do YOU bring to the table that no one else does? That story is a based on a combination of things: your work experience (i.e. what have you uniquely learned and contributed there), any events or experiences that have shaped who you are as a person (increasingly the adcom cares not only about what you've accomplished but also who you ARE), and your post-MBA goals. When it comes to goals, they want to know not only what you plan to do but also WHY. In your case, you'll want to go even deeper than the idea of the "strategic advisory aspect of business operations" to articulate what types of problems you hope to help clients solve and how business analytics will ultimately come into play. If you start your own firm, you'll also need to be ready to talk about how you'll differentiate yourself. What will your business's unique value proposition be & how will you compete with the big players who are in this same space? (one word of advice: don't say you plan to serve the firms who can't afford the big guys. It's a cliche approach that a lot of people who say they want to start their own consulting firm take - and it's also just too vague). So long story short, I think you definitely have the building blocks of a M7 application but it's these nuances in how you articulate your story & set yourself apart that make the difference between someone who gets in & someone who doesn't. Definitely reach out to Claudia at claudia@admissionado.com and she can share some of our sample essays for M7 clients so you can get a sense for what it takes to get in. If you'd like to talk about your profile in more detail she can also set you up with a free consultation with one of our MBA Consultants who can take a look at your resume & give you some more detailed thoughts!